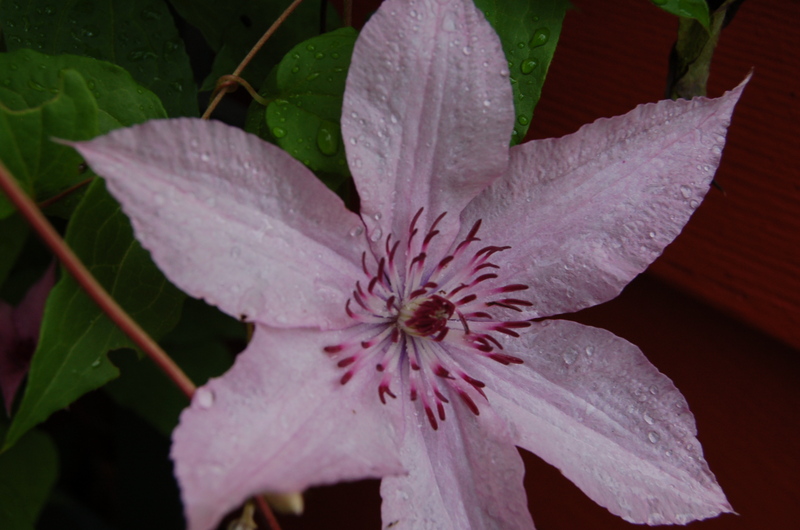 I’ve been inspired lately both by my garden and by posts by avid bloggers who brought me lovely views of their blooming flowers. 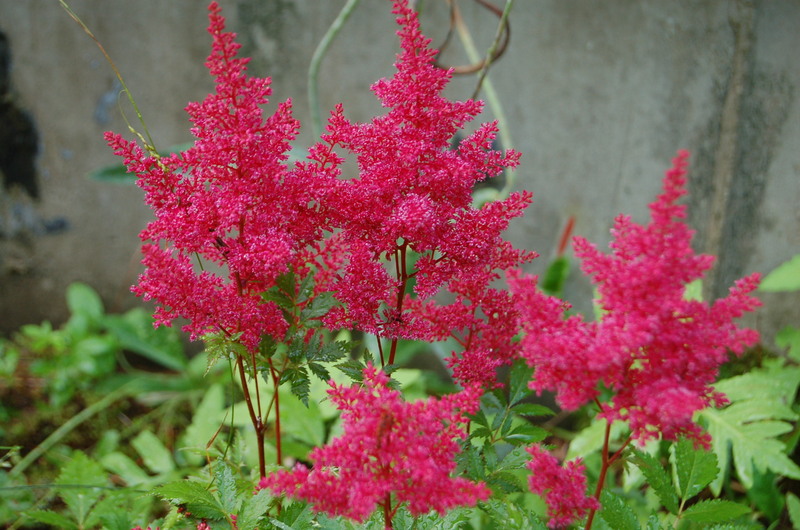 Garden of Eady posted about how to grow Rocket Larkspur. 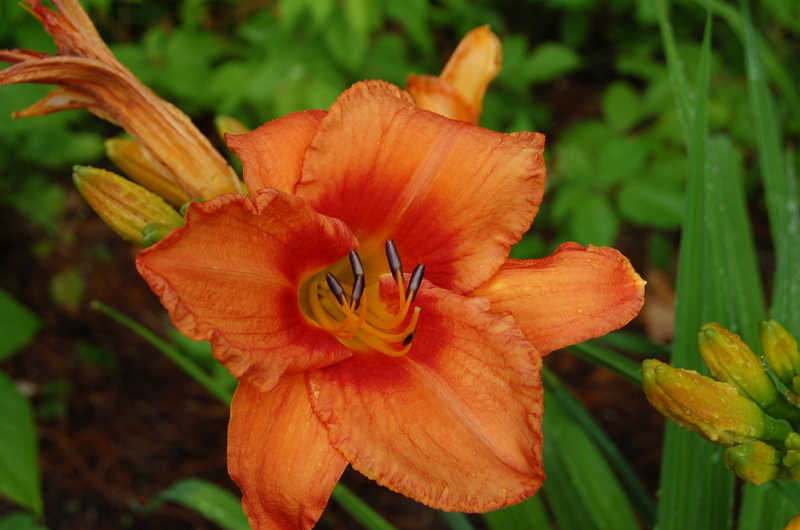 NH Garden Solutions took me on a tour of early July flowers in the wild. Marie Keates with her vision of flowers along her daily walks in the UK. With camera in hand I went out to explore my corner of the world. 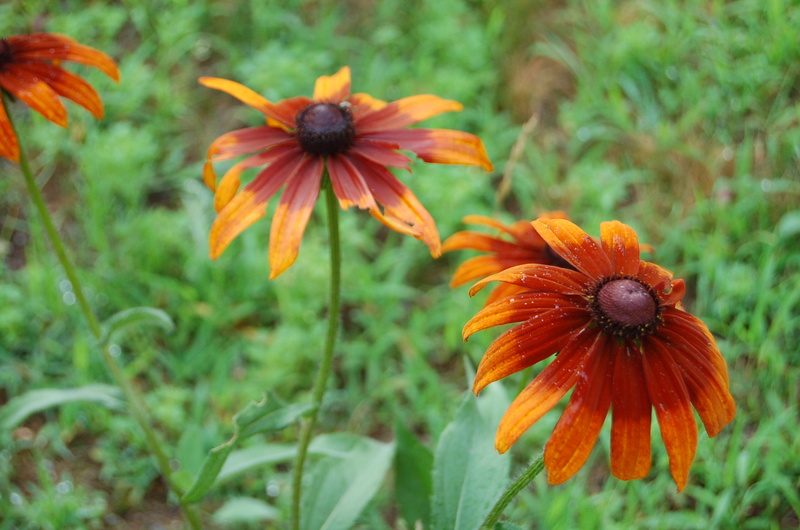 I think these are Rudbeckia hirta. They have taken over the garden, the walkway and are progressing into the yard. I’m such a lazy gardener, I see them as a “feature” and not an annoyance. You can’t tell me that the bees don’t have an impact, some of the stalks are as tall as I am at 5’3″. 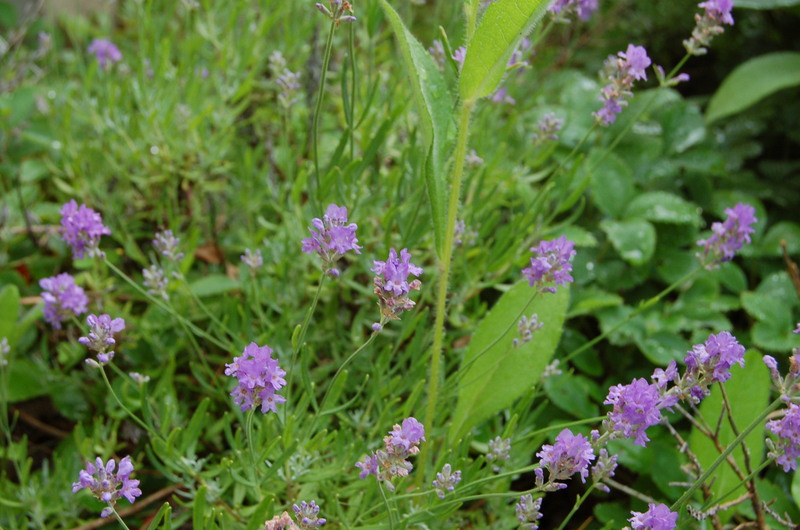 I have cut back this lavender to the point of oblivion. Any other living thing would have given up by now. It just insists on thriving. 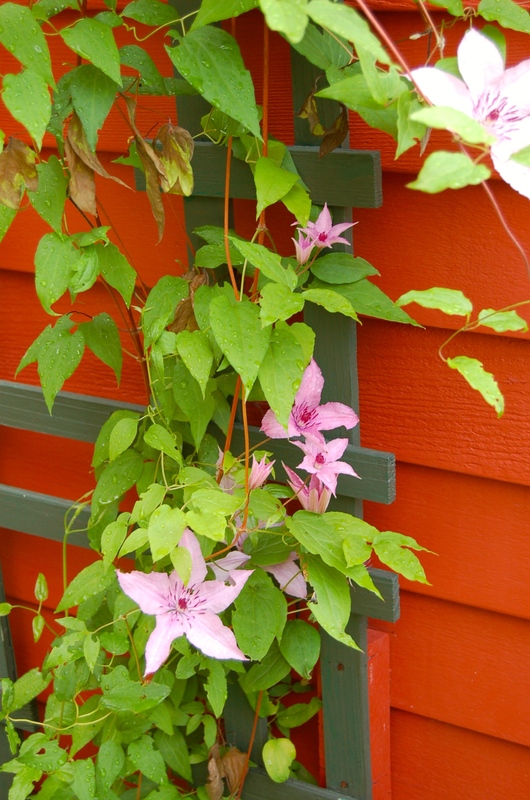 Around the corner, the Morning Glories are bursting forth with a different palate of color. They seem particularly large this year. My garden furniture is barely held together with paint and hope. Five years ago I attempted to reclaim the bank in the backyard. It’s a constant struggle with the blackberry canes. 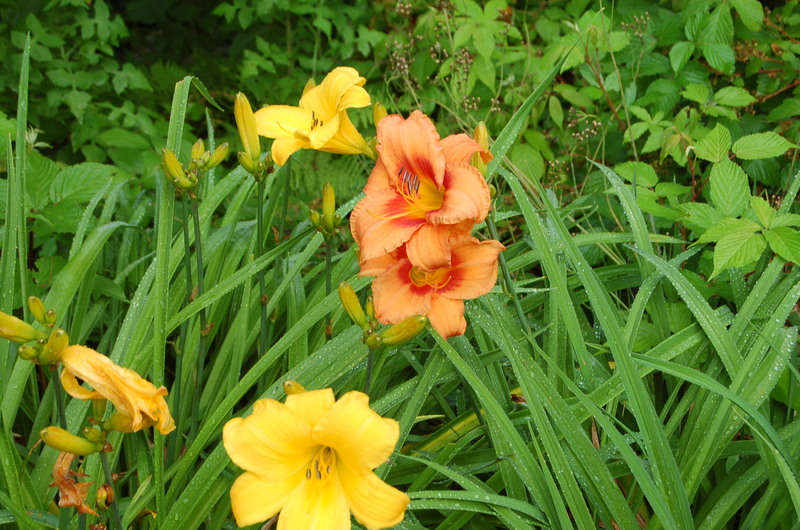 The hybrid Day Lillies I planted have spread, despite having to hold their ground against the invasion. The tree tops in the upper part of the first photo are what is visible of the 10 foot saplings growing below the ridge. I have some rather unique landscaping. 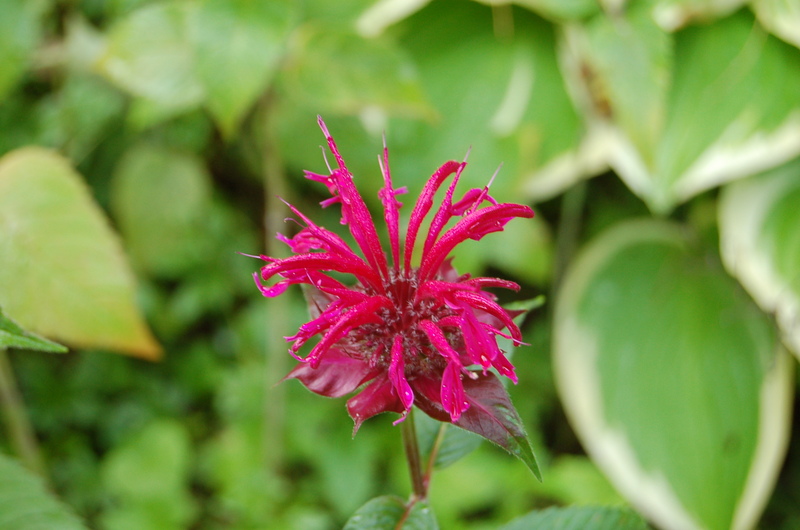 The Bee Balm and Astillbe add a bit of fire. 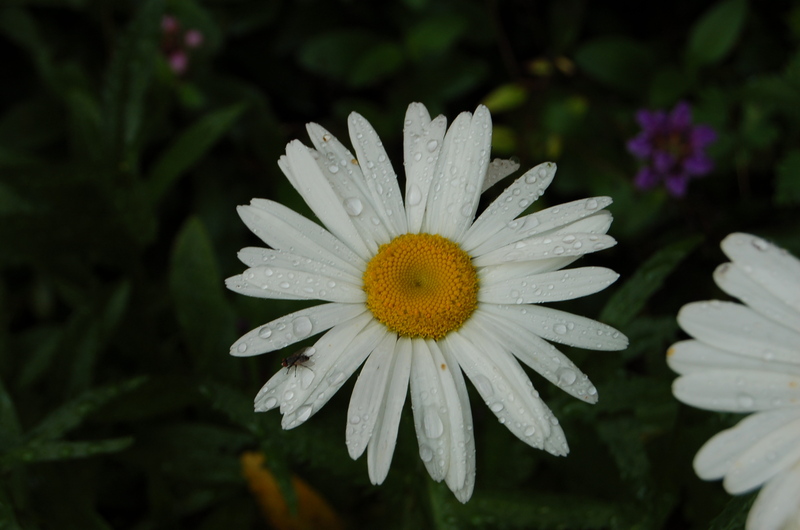 The Shasta Daisies simplicity is calming. There is no rhyme or reason to my planting. I look at lovely, well-thought out gardens of others and wish I had the time and desire to showcase the hardy souls who grace me with their beauty. If it can grow here, I encourage it as best I can. Anyone want some slightly invasive but gloriously joyful Black-eyed Susans? This entry was posted in memoir. 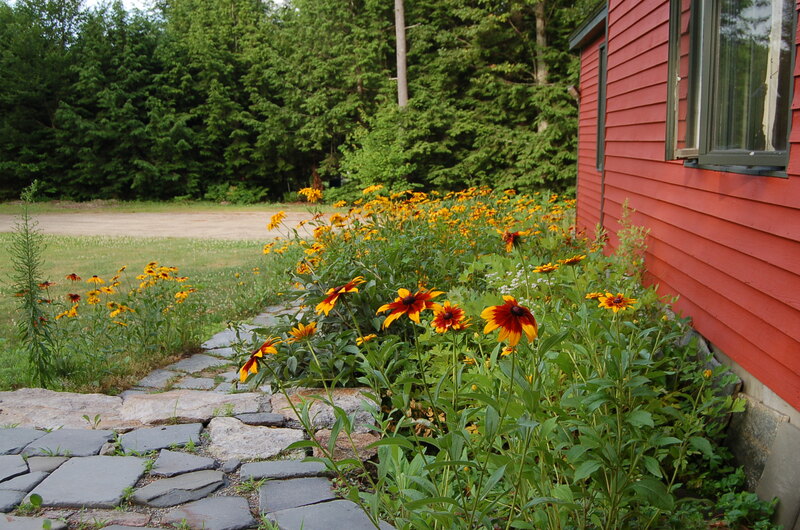 Tagged Astillbe, Bee Balm, Day Lillies, gardening, Morning Glory, New Hampshire, Rudbeckia hirta, Shasta Daisy. Lovely. Wish I could be there. Ah…but I don’t take pictures of the weeds. I love the riot of colors. 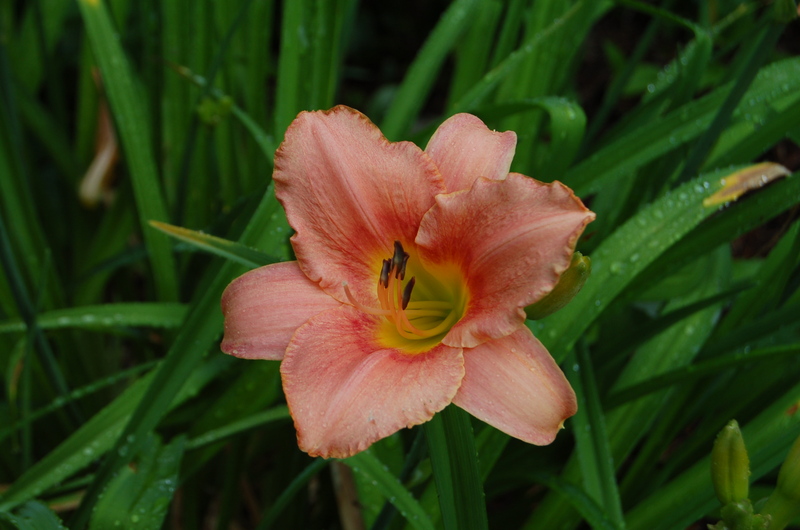 One of the things on my to do list today is to go out and inspect my yard, see what has popped up while I was away. Lovely and tranquil. I removed a lot of overgrowth out back this year but haven’t had time to plant new. 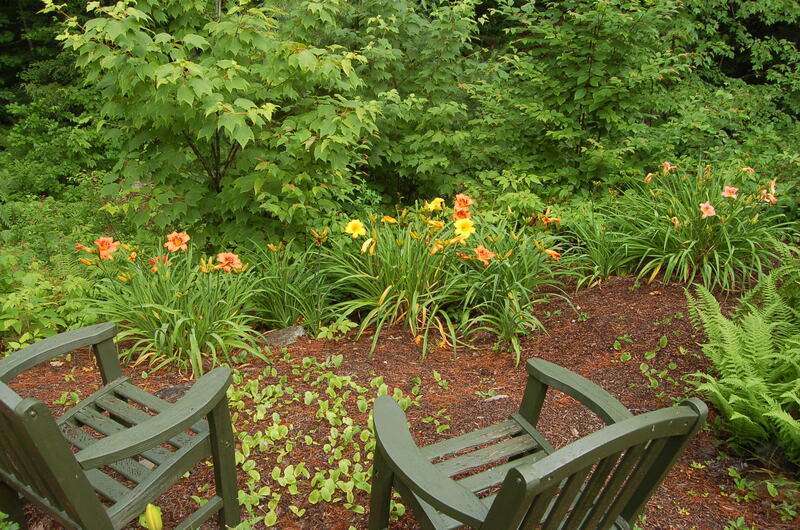 Next spring, I plan to add more color to the perennial garden. Thanks for the mention Martha. I like informal, natural looking gardens and yours fits that description. I spent too many years fussing with formality. Thank you for the mention. My garden is very much left to its own devices for the most part. When I planted it I tried to make it easy maintenance so it’s mostly just clipping back overgrown things and seeing what springs up. Quite a few things have wandered in on their own and I let them be, except the dandelions and the bindweed. 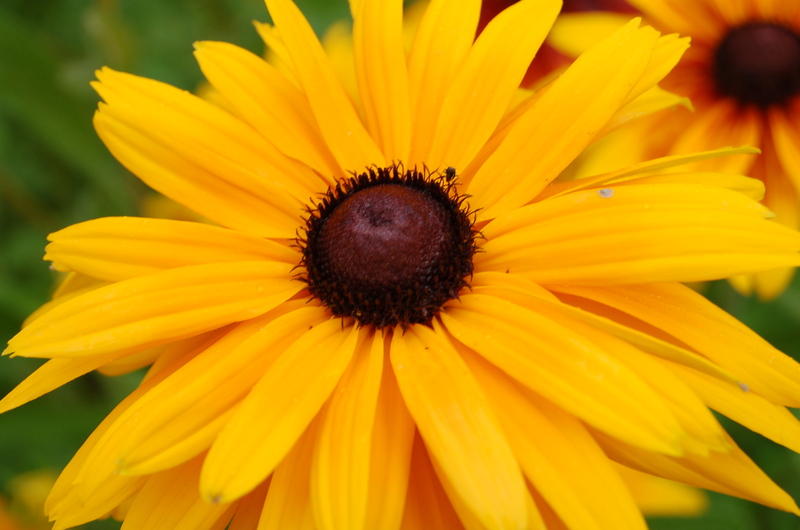 The rudbeckia are lovely, mine decided to leave the garden for some reason, they appeared out of nowhere a few years ago and disappeared just as suddenly. I miss them. Love the photos of your garden, Marie. 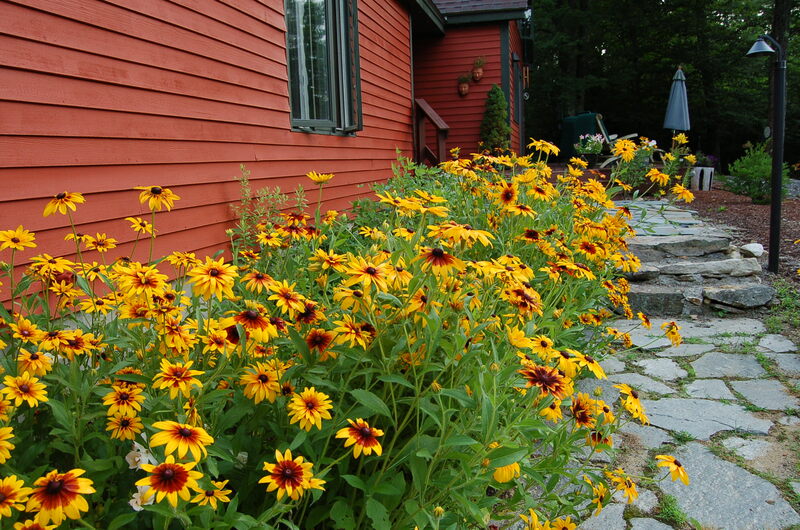 Every morning I cut an armload of rudbeckia and bring it to the shop. It is quite out of control this year, perhaps the bees are to blame!?! ?